Grabbed me from the first page. On the run from government agents, Davy is rescued by Caden, the charismatic leader of an underground group of rebels. Despite Caden's assurances that the resistance is made up of carriers like her, Davy isn't sure she can trust them. Then again, she doesn't even know if she can trust herself...or her growing feelings for Caden. But if she doesn't belong with Caden and his followers, is there anywhere she can call home? Unleashed was such an incredibly disappointing follow up to Univited. The first book was easily one of my favorite books of 2014, but I almost DNFed this one. I had to leave it and come back and then I was only listening for the sake of knowing what would happen, not really interested in the story. As excited as I was for Unleashed to come out, I now find myself wishing that Univited had been a standalone. I felt like the two books had NOTHING in common. Univited was so unique and fresh, in my opinion at least. I was convinced by the concept and, while I believed that everything could go down the way they did, I was appalled by them. The idea that a person could be defined by a gene that marked them as capable of murder was as bad as racisim. More importantly, Sophie (the MC) was devestated by what happened to her and thought it was brutally wrong. Enter Unleashed - I don't know who THIS Sophie is. She's defeated and not just accepting that carriers are all murderers, but it's like she WANTS to believe it. She's done fighting and she's become the angsty, disappointing teen of so many YA novels. So the main character is an entirely different, less likeable, person. But at least I have the secondary characters I loved, right? NOPE! This is a bit spoilery, except that the synopsis kind of tells you it too - they make up maybe 4 chapters of the entire book! GRRR! Because of some perfectly legitimate problems that occur they are completely removed from the book and we have this whole new set of characters to decide how we feel about. And, on their own, I guess these characters are worth knowing. But I didn't care about them because I waited A WHOLE YEAR to see what would happen to the other characters. I do have to admit, there is a decent plot here buried in the disappointments. There's a bit of a mystery and the new love interest is a decent guy. He's even one I could like. The reason why those elements don't fully redem the book for me is they're so PREDICTABLE. It's like we went from this fresh, unique concept and then whoosh, we've moved into every dystopia ever. Yeah, that's an exaggeration, but I'm telling you, for a while I felt like I was reading book 2 of the Shatter Me Series. A good book? Yes. Did I want it to reappear in a new setting with new characters minus the super abilities? Not really. 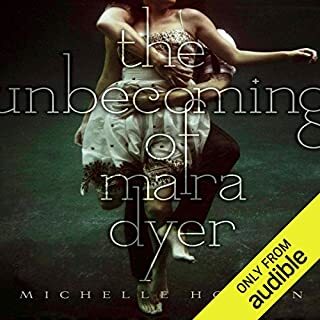 I should mention that the audio was as good as before and Rebecca Gibel's narration is solid. Perhaps the only reason I was able to finish reading Unleashed actually. 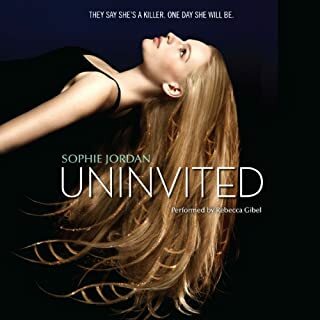 I'm very disappointed because I not only enjoyed Univited, but Sophie Jordan is a favorite author of mine. Hopefully her next book will be back to what I loved about Univited! Very interesting concept but bogged down. What did you like best about Unleashed? What did you like least? Like I said above this is a very interesting concept to be writing about and I think the first book did a good job of depicting what really would happen if there was some gene that was supposed to make people who had it more likely to commit violent crimes. It's never revealed if H.T.S. actually does anything or if it's all just B.S. the government made up to find a scape goat and keep the American people from panicking over all the crime that is going on; I'm inclined to believe it's all B.S. As for what I didn't like, well at the end of the last book the author had this little afterword, it's always interesting to hear what the author has to say about his or her work but I found the comment about the M.C. being a representation of every girl to be a bit demeaning. 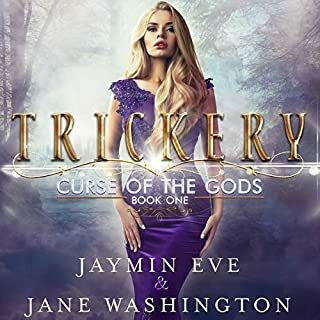 She keeps getting into trouble and then the boy she is currently crushing on comes and saves her! She is supposed to be tough but I just don't see how she is, giving her a boy name didn't quite cut it. And also Davy spends so much time thinking about how 'now I know that all carriers are evil' and completely ignores the fact that the normal people are the ones doing most of the bad things, she's a bit irrational about a lot of things. What could Sophie Jordan have done to make this a more enjoyable book for you? The M.C. could have been less of a Girly Girl. The book did do a good job of making me feel the character emotions (one advantage of 1st person) but I don't really want to feel Davy's emotions now that's she's a bit of a whiny brat. All she seams to really care about is boys. I also wish that there had been a bit more plot and a bit less lovey dovey fun times. 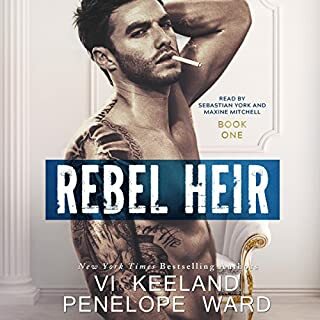 Honestly a book with a concept like this could have been so darn good, but the whole idea was wasted on a book filled with useless angst and a romance that was utterly predictable. What little plot the book did have involved a 'who done it' and I saw who the culprit was the moment I cared enough to think about it. As well, there could have been a bit more to Davy's attraction to Caden then 'he's so pretty and he can sing'. And lastly, there are several mentions of religion in this book, there are a few instances of the bad guys using it as a justification but also a few moments were Davy is actually contemplating God, sorta. Anyway, if finding faith had actually been a part of this story it could really have turned my opinion around but the author seemed to shy away from that. NOTE: I doubt that there was anything the author could have done about this but why the heck isn't Davy's imprint shown on the cover? Were they afraid that she wouldn't look pretty enough? The ending, it was the only part of the book that I really liked. It at least gave me a nice warm and fuzzy feeling which I think was the authors intent. Do you think Unleashed needs a follow-up book? Why or why not? Please no, I do not need more of this. I would definitely like to read another book with a similar concept, because as I keep saying it could be super cool story. But nope, this is a 'Book For Teens' and apparently teens are to dumb to want to read about anything other than romance and school. If I ever read another book by this author it will have to come with some really good recommendations from sources I trust. I feel the need to point out that I myself am a teenaged girl, and it seems obvious to me that this book was designed with people of my demographic in mind. The fact that someone would assume that I would like this is again, a bit demeaning. Of course I did buy the second book so I can't claim to be completely resistant to the Y.A. recipe. Rebeca Gibel's narration was good, it was a contributing factor for me feeling what the character felt. 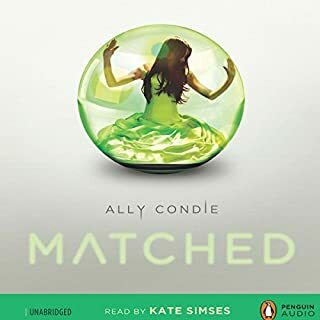 Overall I'm glad that I read it but that's just because I had this itch to find out what happened (the first book was a little addictive to me). If you are in a similar situation, just take my word that it ends well for everyone we like; don't waste your time and money. The conclusion to the trilogy was a real let down. it did wrap everything up. But it was too quick and left things out. 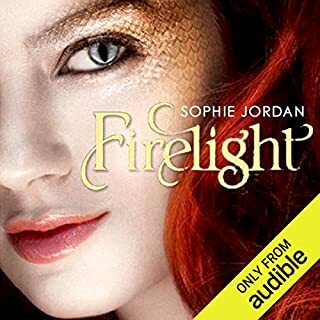 I like Sophie Jordan and the concept was unique for these books. However, the story is formulaic and predictable. It was a good story worth listening to, but I won't be re-reading this series.